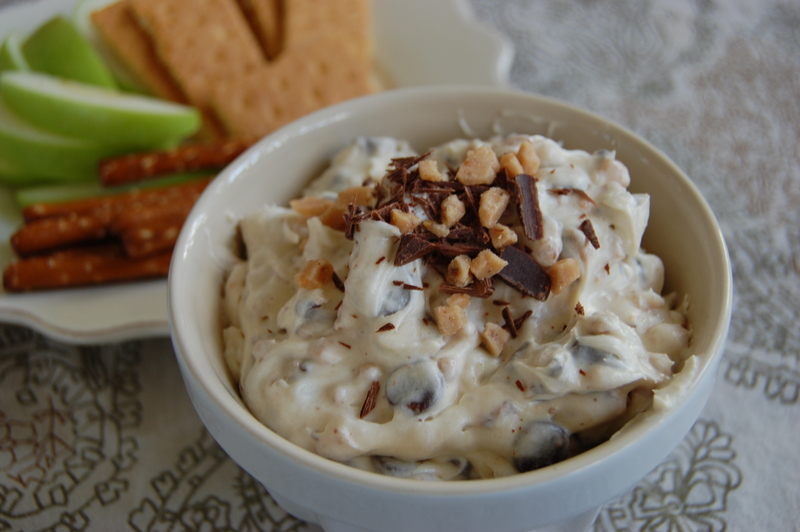 Chocolate Chip Heath Bar Cookie Dough Dip! A Super Bowl Sunday First!!! I was born a Steelers Fan- actually born into a Steelers family, with both my parents growing up in Pittsburgh. So I have enjoyed many Super Bowl Sunday’s- some with victories and some with bitter defeats. Either way it is always a fun day that I look forward to every year! Super Bowl Sunday is not just for football fans- nope, it’s a day that even the most annoyed wives can enjoy, if not the commercials or the half time show then they definitely can enjoy the food! The best part, if the Steelers aren’t playingJ. We plan for weeks, discussions of grilling, sandwich making and pizza assembling. We coordinate who will bring what, hopefully avoiding 5 bowls of salsa! Magazines are filled with ridiculously tempting pictures of food, tempting enough that you wish that photograph of wings was a scratch and sniff. Speaking of too many bowls of salsa, or a bowl of onion dip, spinach dip, ranch dip, and Grandma’s dip (are there ever too many, I’m really not so sure). 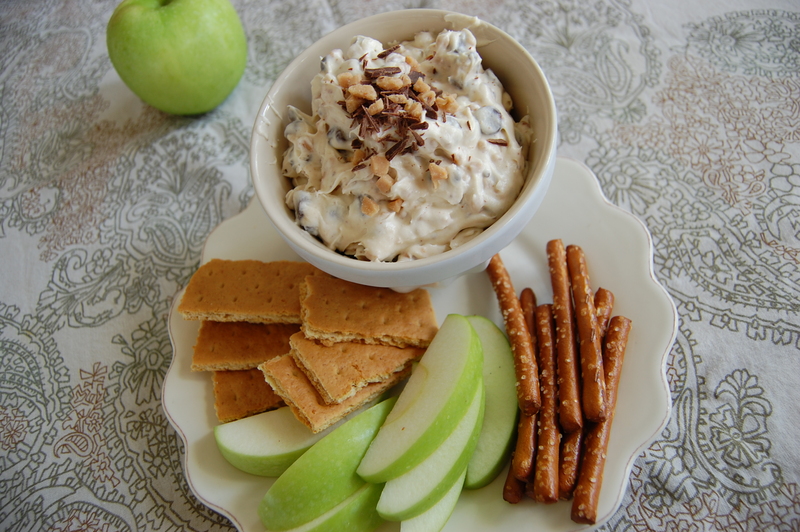 One kind of dip that has never graced any Super Bowl Party I have been to is dessert dips….What!!! This is so quick and easy- when I say easy, I mean- Mom, you can do this! Not to mention how terribly good it is, eat it with a spoon type of good! I was inspired by Robyn at In a Pinch– I was floored actually! All stuff that you can find in your pantry! 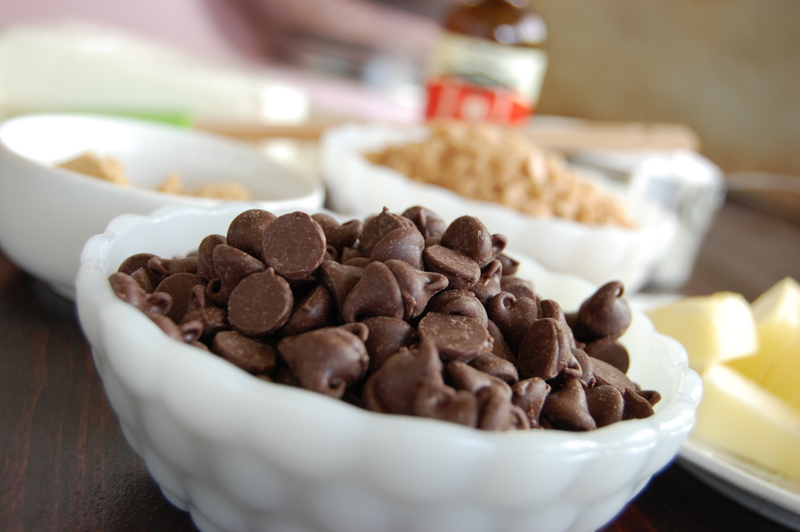 Who doesn't love cookie dough? 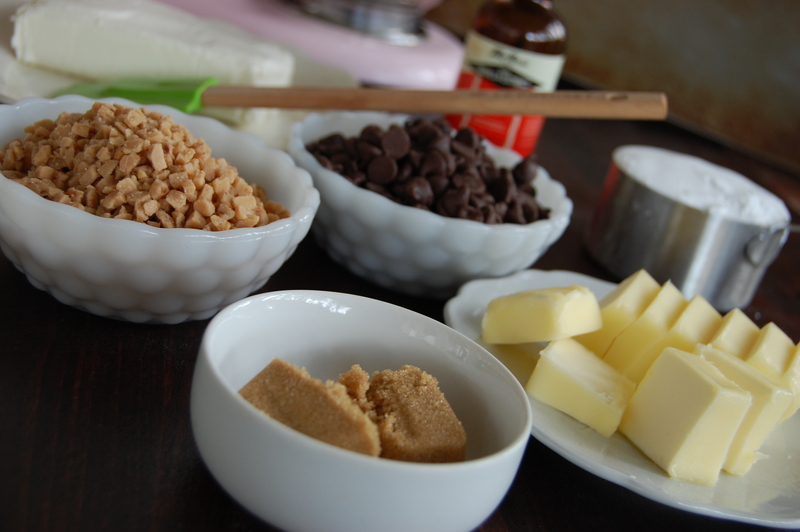 Mix cream cheese, butter and sugars together until creamy. Add vanilla and remaining chips and bits. Promise...No one else will bring a dessert dip! Perfect to serve at half time! 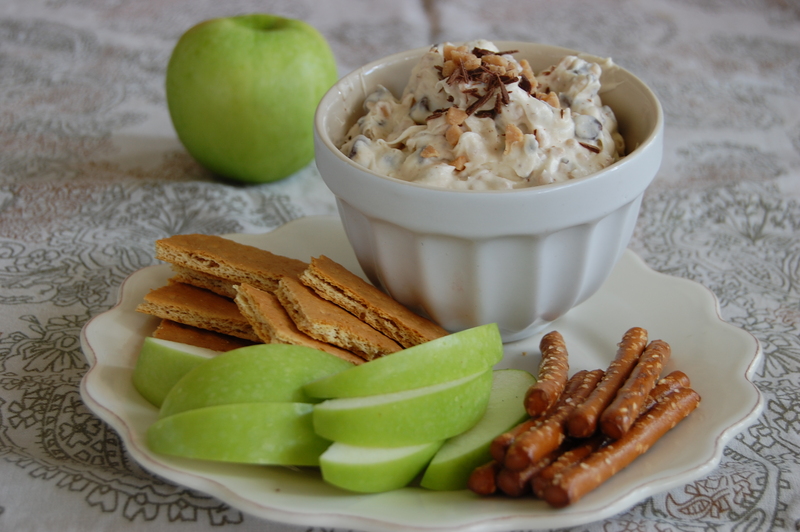 This entry was posted in Desserts, Dips, Recipes and tagged Cookie Dough Dip, Dessert Dips, Heath Bar Cookie Dough, Super Bowl Dip. Bookmark the permalink.